If you want to know about the trials and tribulations that went into developing in Space, or my opinions of DRM, the Atari 2600, or floating point handlers, then head on over to my interview with True PC Gaming! in Space, the game that fuses match-three puzzle games with side-scrolling shooters, is now only $2.99/€2.49/£1.99! 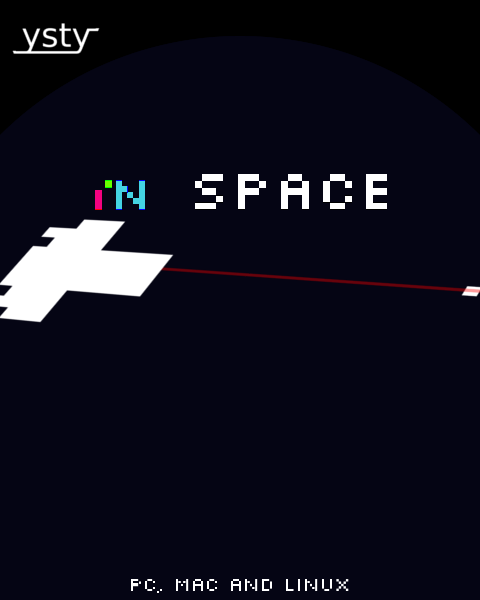 A procedural fast-paced arcade match-three shooter. It offers infinite levels spread across four difficulties. libtiff's current soname in Arch Linux is "libtiff.so.5", but this game wants "libtiff.so.4". Just go to Desura's directory and, inside "common/in-space/libs", make a symlink to /usr/lib/libtiff.so called "libtiff.so.4". Ah, thanks! I didn't get much of a chance to test the game on Linux beyond Ubuntu/Linux Mint (and a disastrous attempt to make it work on Raspbian). I'll try and update it soon so that it works out-of-the-box on more distros. Similar thing is on Slackware with liblua. symlink or copy to libs dir and problem solved, but for newbie on Linux it can cause problems. I would consider puting all the dependencies into libs. Mint and Ubuntu are two distro that are not that different in architecture (Mint feeds of Ubuntu). There is whole world of distros not just debian based ones. This is quite the fun game. I played the demo for 5 minutes and knew that this is going to be my go-to game on Desura. .... Good? I don't know, I just love it. Congratulations EGX, you wrote nearly three hundred pages of text playing Betweenside. That's more than Mary Shelley's Frankenstein!